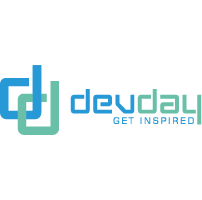 DEV DAY IS THE BIGGEST TECHNICAL CONFERENCE IN WALLONIA, FOR WEB, MOBILE, CLOUD AND IOT DEVELOPERS. When they realized none of their idols would never come to Wallonia because there were no decent event to welcome them, 4 developers decided to organize the biggest conference in the region. 5 years and more than 1300 attendees later, the organizers are proud to say they had the privilege to welcome nothing less than 15 MVPs and 10 Microsoftees during the past editions. And believe me, you don’t want to miss what’s next! Always ready to discover new technologies, we are open to all ideas. But the most important is fun !